Amazon India selling Bajaj New Shakti 15 Litre vertical water heater Rs 5349 only best and lowest price online.Free Shipping & Fast for Prime Users. Activate your prime account.You can follow the below steps to buy this product at their deal price.Keep Visiting dealsheaven.in for more Best offers ,hot online deals, promo code, coupons and discount . Free installation is provided by brand on purchase between 15th Jun to 30th Sep 2016. Please contact brand customer service number for more details. 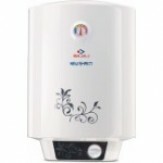 How to buy Bajaj New Shakti 15 Litre vertical water heater ?